The waistline is adjustable. This is the secret to the perfect fit- no more gaping at the back! Our model is 5'3" (161cm tall) and is wearing a size 6 trouser with 28 inch inseam. Model's measurements are Bust 32C, Waist 26', Hips 35'. If pink is not your colour and you seek true sartorial style, wear these trousers with a white or black pussybow blouse in the style of Victoria Beckham. 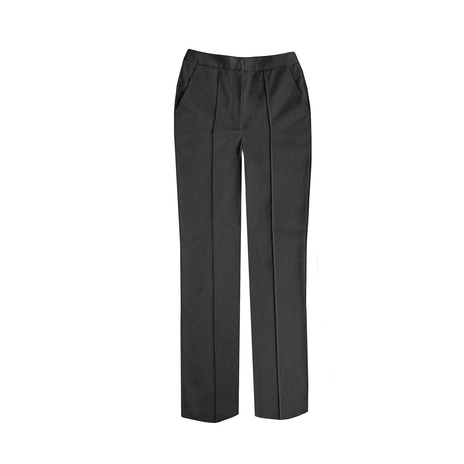 Grey trousers are a staple in any female boss' wardrobe and the charcoal shade suits all skin tones.